*Thanks to Grace Snyder for this guest review of OUT OF THE FURNACE. There was an advance screening, but none of our regular staff could make it. The film is still showing in theaters. Grace is a student at Kent State student who does her own blog 'Let's Get Critical' which she describes as, "reviews of films from an untrained college student with hopes of becoming a film critic." 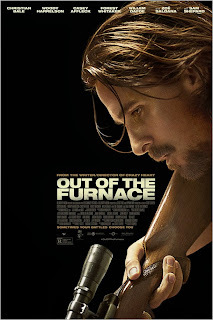 Set in the worn down, steel mill country of Pennsylvania, Scott Cooper’s Out of the Furnace opens by introducing us to Russell Baze, played by Christian Bale. Russell leads a normal life; he works at the steel mill, he visits his dying father, he loves his girl, and he takes care of his younger brother Rodney (Casey Affleck). This all changes when Russell kills a mother and child in a drunken driving incident. He is carted off to prison where he misses his father’s death, his brother’s last tour of Iraq, and loses his girl (Zoe Saldana) to the local chief of police. Upon his release, he is forced to pick up the pieces of his life, especially his younger brother who seems to have fallen off the tracks. The whole movie reeks of desperation, as Rodney pines to find his place in the world. Reaped by post-traumatic stress, he takes up the hobby of underground fist fighting. This leads him on a trail of misfortunates that ultimately ends in his death by the crazed, inbred drug lord depicted by Woody Harrelson. Feeling defied by the justice system, Russell, who seems to have lost everything, decides to take matters into his own hands. Despite the objections from those around him, Russell is led into a fight for justice against the meth king and his cronies. Bale, who seems to transform into each character he plays, expertly portrays the worn-out and hard-edged character that is Russell. Russell, who begins the movie as content and together, loses virtually everything meaningful in his life. Bale seamlessly displays this loss through his rage toward the society that took his brother and his desperation for revenge. Bale once again proves that he is truly one of the greatest actors in any role that he chooses to depict. Not to be ignored are the performances by Affleck and Harrelson. Affleck is convincingly pitiful as Rodney, who is a victim of the war, trying to find an outlet for his stress and anger toward the world that put him overseas. Even more convincing is Harrelson as the disgusting and relentless meth head responsible for Rodney’s death. Spewing profanities and spit, he is terrifying as a lawless leader only interested in his next fix. 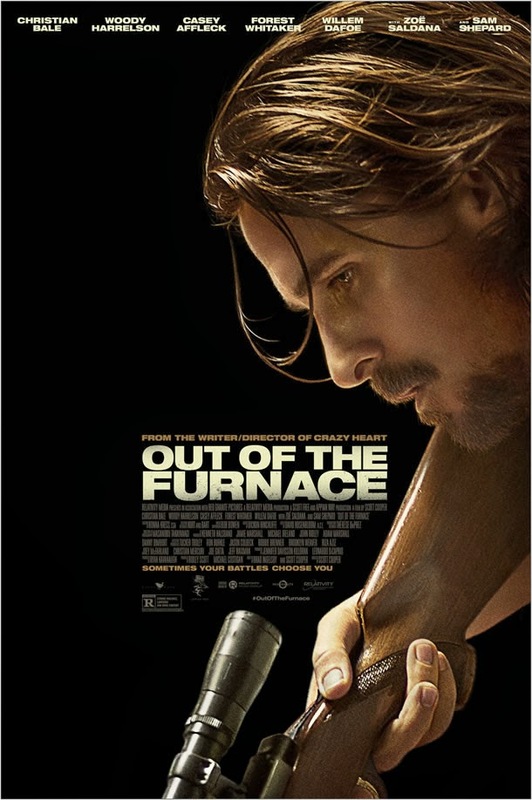 Out of the Furnace is gritty and raw; it gives the audience the feeling that it is a snapshot of real life. If the movie is not a contender for the Oscars this year, then surely Bale will be. His flawless performance in this disheartening and vengeful film is reason enough to make a trip to the theater this weekend. Please don't become a film critic, young Grace Snyder. Not that there's any great problem with your writing, it's just that there are so many other careers out there with more optimistic futures -- suicide bombers, for example. I'm just telling you what I wish someone had told me a long time ago.